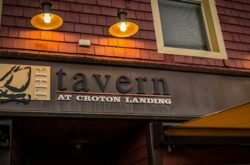 The Croton Grille Croton-on-Hudson is a great destination for those seeking to enjoy a great time with their friends or family over food and drinks! We are conveniently located in the upper village. Come in for lunch or dinner or for one of our happy hour specials. We are open 7 days a week. Mondays to Saturdays: Noon-10PM; Sundays: Noon-9PM; Starting July 29th we will be serving brunch from 12-2pm. Join us for our Happy Hours: Monday to Friday: 3-7PM; Saturday & Sunday: 2-5PM. Like us on Facebook and instagram @crotongrille. We also have host events at our location so stop in to find out more!